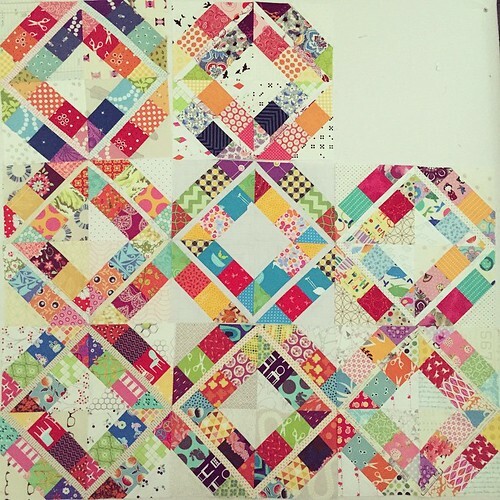 That said, this is my Red Letter Day quilt. (My post on the class can be found here.) 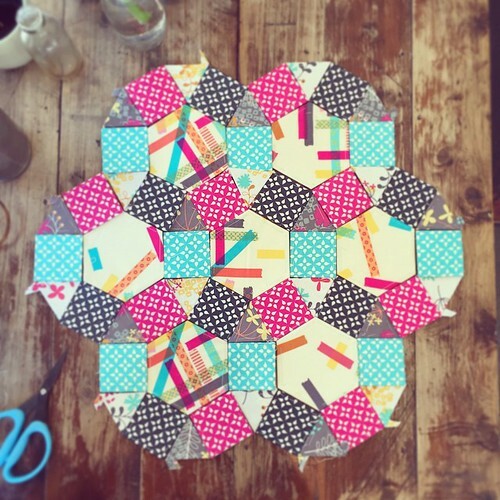 As I took the class with Jeannette, I wanted her very much to quilt it! 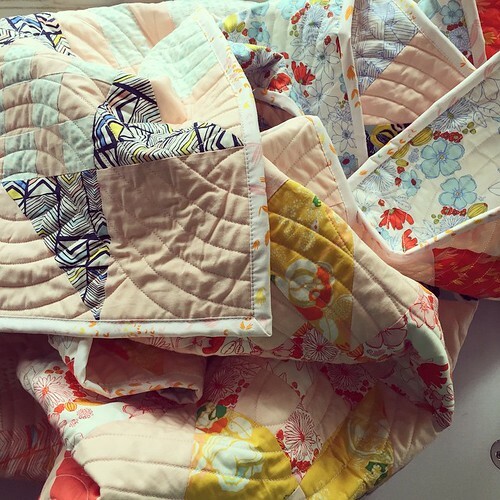 She quilted in a simple cable pattern, one I like a lot - I'll be sure to ask for it again. Thanks Jeannette! 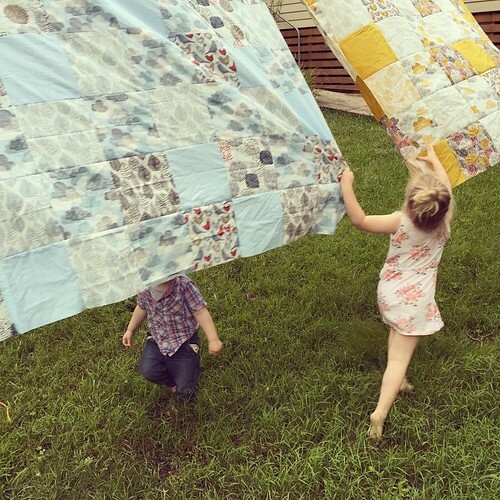 This 68" square quilt was never going to stay with us - it was always meant to go off into the world. It has been gifted and I'm glad to say, happily recieved! I keep trying to crowbar in the time to get the kids' room fixed up. It needs painting and the wardrobes fixed to the walls. And then they can move in. 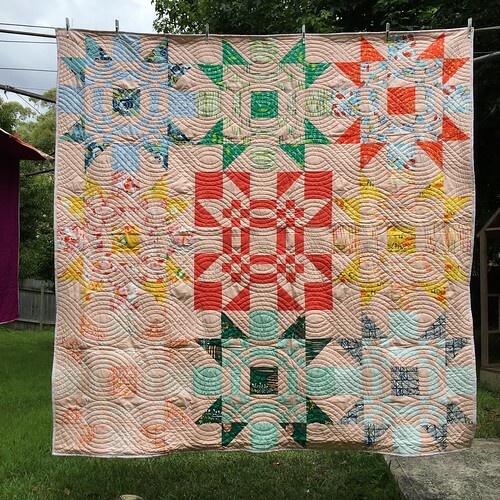 I did finally finish their twin quilt tops! I used the two colorways from Eloise Renouf's Bark and Branch line from Cloud9. I've been hoarding it since it came out for exactly this. When Piper was a tiny little thing I bought cloud artwork from Eloise Renouf and had it professionally framed, and it just so happens to match this fabric range perfectly! And writing hasn't stopped me from digging out my paper pieces box and whipping up a little Spring Carnival goodness. There is a pattern here but I just did it based off pictures with the pieces I had. I'm finally using my washi fabric! It's so beautiful. This is just set out - not stitched together - that will come later! Hope your week leading up to Christmas is fun filled. Enjoy the holiday!